and the largest South Asian shop in the world. I am amazed to see massive quantities of food in one place. Bhutan’s national dish is a stew called ema-datse, made of little more than ema (chili’s) and cheese (datse). Thinly slice one onion, longitudinally, and add it to a pan with 3 tablespoons oil on medium heat. Add five cloves of garlic, chopped, and one or two tomatoes, in thin wedges. Slice a half pound of hot chilies lengthwise into halves or quarters. Remove the seeds if you’re getting nervous. Add the chilies, stir-fry briefly, then add a cup of water. Then add two tablespoons butter and a half pound of your choice of cheese. With the lid on, simmer until the cheese is smooth and bubbling. Add salt to taste, and simmer until the chile is tender. Serve with rice, preferably Bhutanese red rice. With your hands, compress a handful of rice into a ball. Work some ema-datse on top of the rice ball, and enjoy. 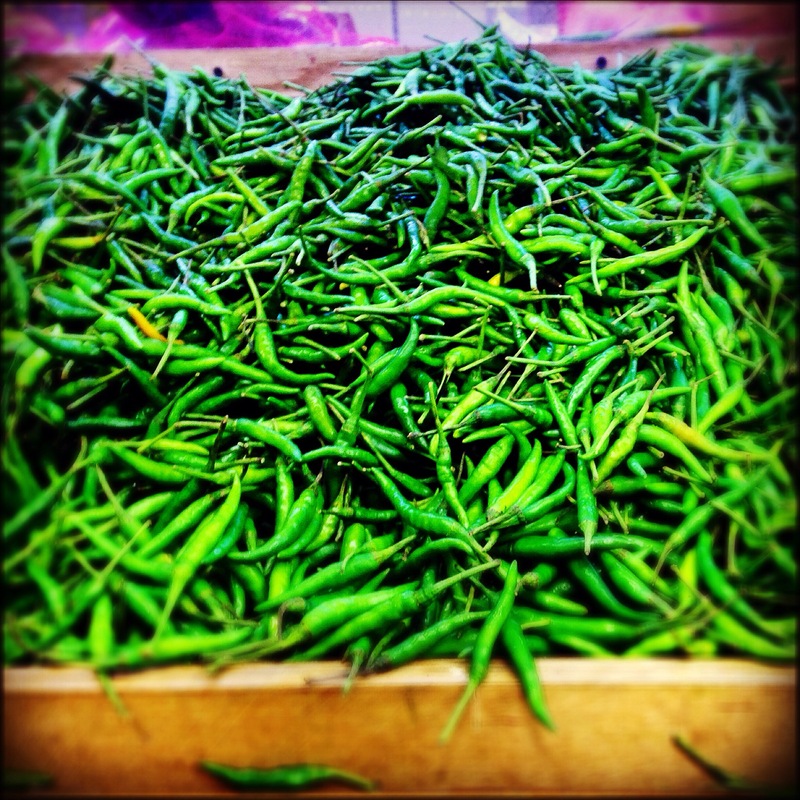 Brace yourself for the chile-induced endorphin rush. A big shout out to Eric Mendlow who spent the day with Tony and me on this big adventure.